Korean audio specialist Mpio has long done a great line in PMPs so tricked out, yet affordably priced, that they make the competition look bad. The latest such device raises the bar even higher. So far available only in Korea, the V10 costs 228,000 won (£116) for the 4GB version or 268,000 won (£137) for one with twice the memory. Taking a leaf out of the iPod touch, there's a big (three inches) touchscreen with a 480 x 272-pixel resolution. As you can see from the gorgeous photos on the Korean-language website, that screen is the gateway to everything you'd expect in a high-end PMP. 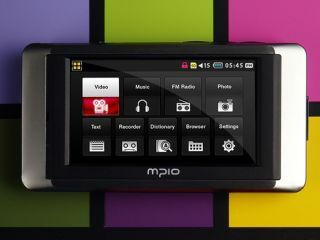 Aside from the usual audio and video players that can handle every format under the sun, including H.264, the 108g, 15mm thick package contains an e-book reader, a photo viewer, a Korean-English dictionary, an FM radio and a built-in voice recorder. Battery life is slightly disappointing at just eight hours of audio or five hours of video, but a TV output and an SD card slot still give the V10 an edge over most other players.